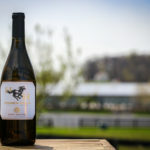 Located on a horse farm with over 100 acres in the heart of Frederick County, Maryland, we specialize in growing grapes that thrive in Maryland's climate. 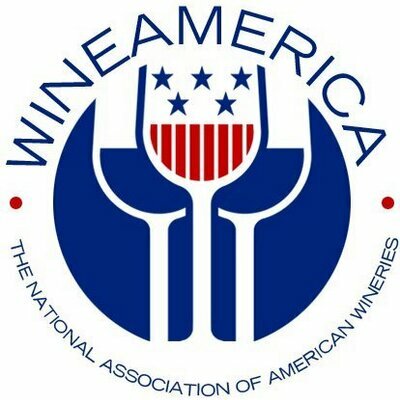 After years of seeking out fine wines around the globe, we wanted to bring unique wine-drinking experiences to Maryland. 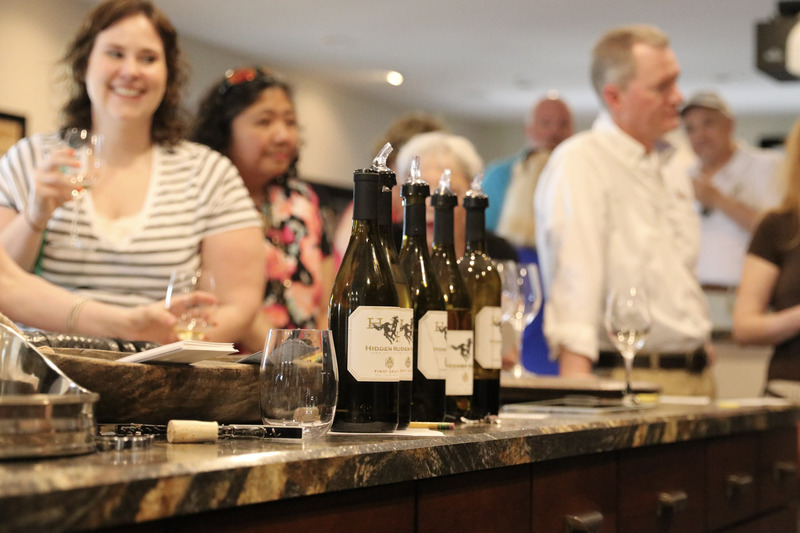 We are so passionate about providing memorable wine experiences that we are opening up our home and farm to you. 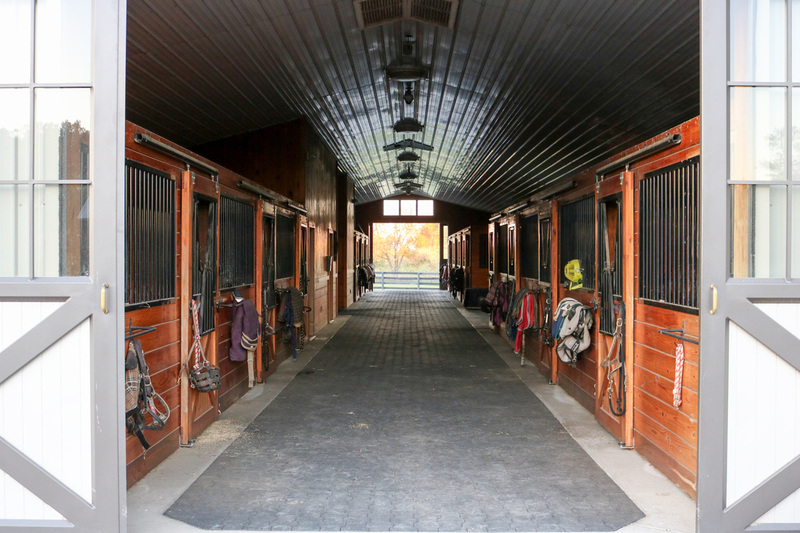 Grab a glass and take a tour of the vineyard, farm, and horses. You won't forget your time here! 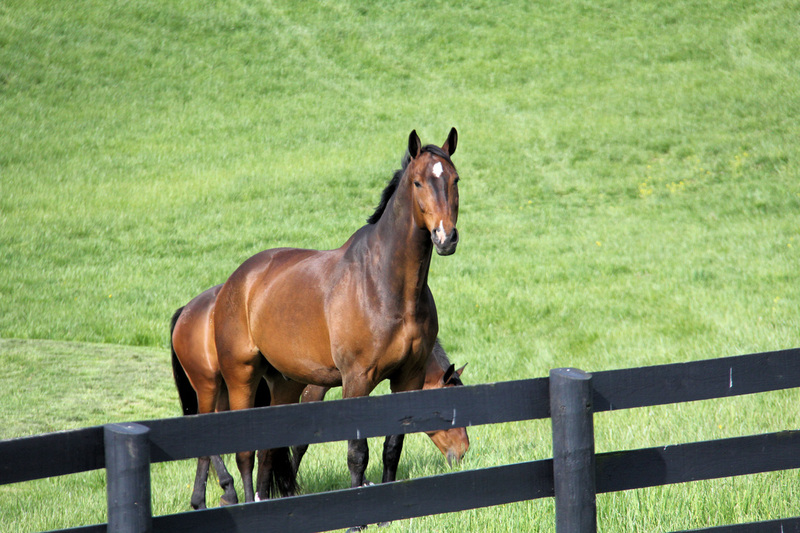 Come enjoy the beauty of this hidden little gem -- the vineyard, the horses, the wine tasting experience. 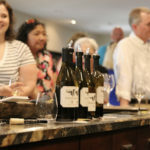 To ensure that everyone has a memorable experience, we offer tastings by appointment only. We want you to remember your Hidden Hills experience and would love to meet you. Schedule your appointment today. Dark and mysterious, and with a distinctive style we’ve dedicated to a USDF Champion horse on the farm, Raven. Colors so deep, this blend of Petit Verdot and Cabernet Franc deceive with the nose of strawberry and blackberry jam. Aged in French oak barrels, the duplicitous dark fruit quickly turns to earth, and a touch of chalk and minerality lingers with integrated tannins and slight savory pepper. Dark and mysterious hints of violet are pronounced in this estate-grown Chambourcin. Named for the Blue Roan horse whose characteristics are indicative of a dark, underlying coat with a startling shade of blue, these duplicitous traits are lent to this red wine. Aged in stainless steel for fifteen days and French oak barrels for seven months, currants and cranberries give a synergistic balance between fruit and oak. Add to these characteristics hints of acid, and it’s the perfect red for summer food pairings. The beautiful horse coat color, Rose Grey, was the inspiration for our Rosé wine. 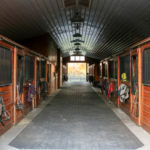 Rose grey is the intermediate shade of a chestnut or light bay horse when it is greying out, or developing a white coat. Horse people call a white horse a "grey" because of the slight tinge from the dark skin underneath. The pinkish, or rose, color develops because the red hairs are growing out at the same time as the white hairs are coming in. This Estate-grown rosé (Chambourcin) reveals notes of tart cherry and vanilla. Pair this gorgeously colored wine with grilled salmon, chicken or mild cheeses. This Chardonnay shares the name of my loving yet unpredictable grey mare, Enchantress. Endearing and composed one minute, she will suddenly take you for a wild ride; never to be forgotten. This dry and aromatic Chardonnay evokes sensations of lush pineapple, star fruit, vanilla bean and lychee. The Cremello horse has vivid blue eyes and a pale cream or light tan coat, is known to be one of nature’s most striking beauties. Native yeast fermentation allows the natural characteristics of this Sauvignon Blanc to emerge, expressing a bright and crisp dry white. A beautiful fragrance of ripe melon evolves into notes of pink grapefruit and lemongrass. 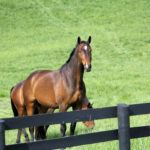 A Dark Bay is laid-back with a red coat and black points (lower legs, mane and tail). Colors range from copper to deep red. Our 2015 Dark Bay Syrah is a luscious full-bodied wine with notes of dark fruit and cranberry. The elegant mouth-feel begins with sultry smoke and evolves into a lingering finish hinting of white pepper, chalk, and slate. Serve with a steak. The Bay Roan is a unique horse with a black mane and tail, which together are a beautiful contrast to his dark red and gray coat. Our 2015 Bay Roan Cabernet Sauvignon is a full-bodied wine that is bright with dark fruit and hints of blackberry. Aromas of dried herbs, dark fruit, and tomato tease the senses. Serve with pork or brisket and savor. SOLD OUT - 40% Cabernet Sauvignon, 40% Syrah, 20% Cabernet Franc. The Chestnut Mare is gorgeous and well known for her fiery personality. She knows that her beautiful red coat and matching locks will always turn heads. 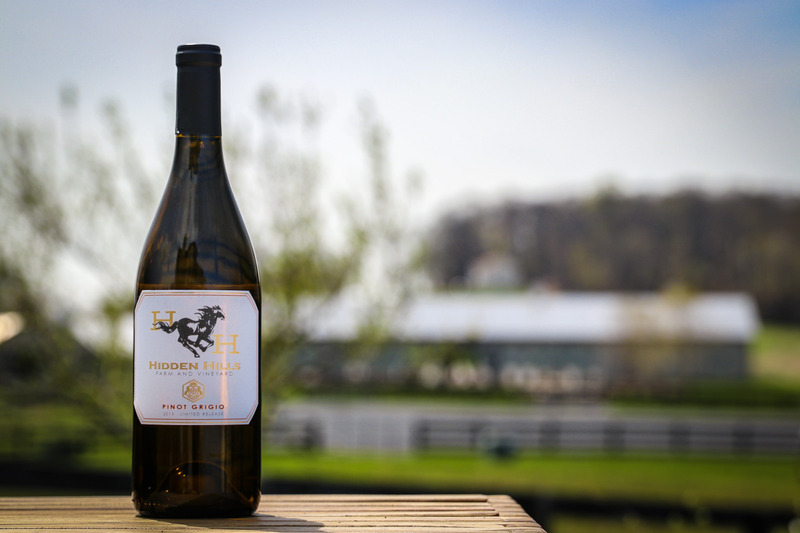 Similarly, our 2015 Chestnut Mare is a medium-bodied red wine blend, fruit-forward with layers of plum, dark cherry and bay leaf. The “eternal finish” of the Chestnut Mare cries out for roasted beef or lamb. We call this our velvet wine because of the silky texture and soft well-integrated tannins. Notes of cranberry, lavender, and a hint of walnut come together in this Cabernet Franc, and then linger with savory pepper. Serve with a rosemary spiced ribeye roast. Put this away as it will continue to improve and become more elegant with time. 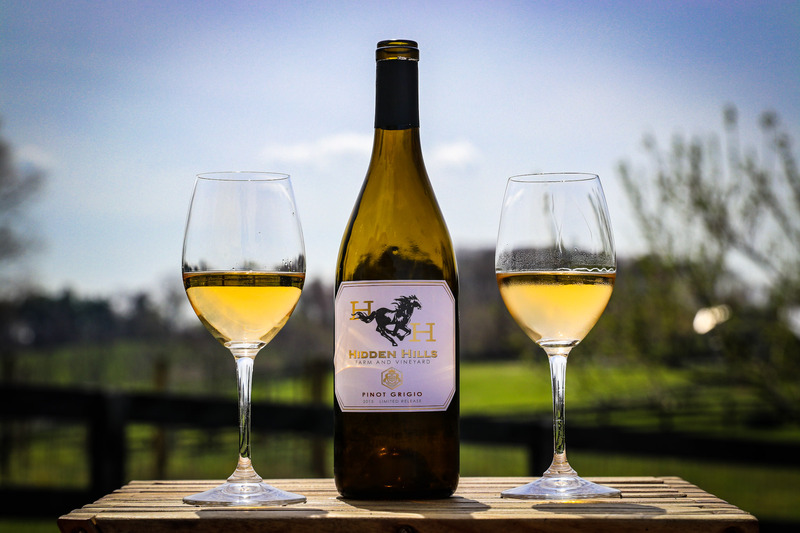 SOLD OUT - This Vidal Blanc is our debut wine at Hidden Hills Farm & Vineyard. Golden apple and a rich, round, yet soft mouth feel best describe this delicious wine, and with no residual sugar. On the finish you will detect hints of mineral, flint, and chalk. Well balanced, this lovely wine has enough acidity to bring out the natural fruit flavors. Always great with chicken and fish. SOLD OUT. 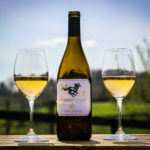 Our Pinot Grigio has a delicate apricot color, created by allowing skin contact for several hours before separating the skins and seeds from the juice. This wine has a bold structure that stands up well to intense flavors. Lovely stone fruit and honeysuckle notes can be detected after the first sip tickles the front palate. A perfect pairing with holiday dinners and barbecue. 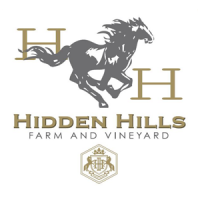 SOLD OUT - This Hidden Hills Chardonnay is a bright, fresh, and clean aromatic wine with notes of lemon zest, citrus and delicate hints of candied pear. Produced with native yeasts, this un-oaked Chardonnay would be the perfect complement to Lemon chicken with risotto.